Jaya Sri Maha Bodhi is a Sacred Fig tree in Anuradhapura, Sri Lanka. It is a sapling from the historical Bodhi tree under which Buddha became enlightened. It was planted in 288 BCE, and is the oldest living human-planted tree in the world with a known planting date. 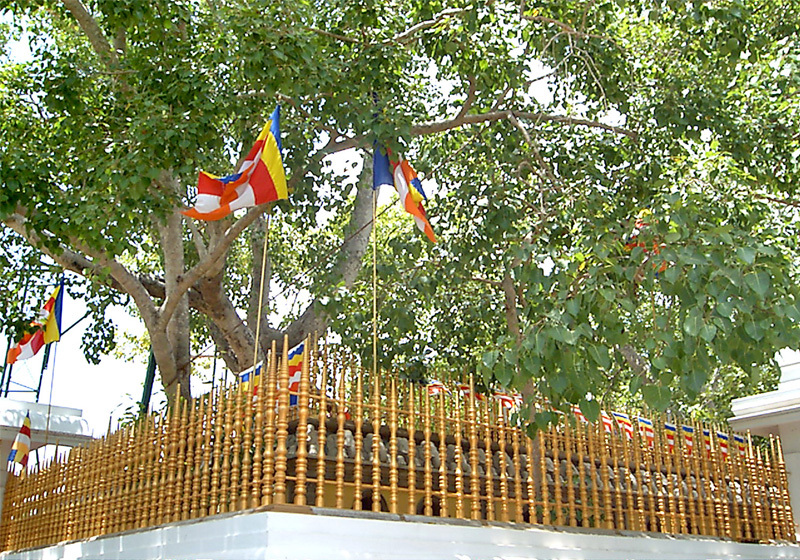 It was planted on a high terrace about 6.5 m (21.3 ft) above the ground and surrounded by railings, and today it is one of the most sacred relics of the Buddhists in Sri Lanka and respected by Buddhists all over the world. This wall was constructed during the reign of King Kirthi Sri Rajasingha, to protect it from wild elephants which might have damaged the tree. In the 3rd century BCE, the Buddha's fig tree was brought to Sri Lanka by the Thera Sanghamitta (Pali; Skt. : Sanghamitra), daughter of Emperor Ashoka and founder of an order of Buddhist nuns (bhikkhunis) in Sri Lanka. 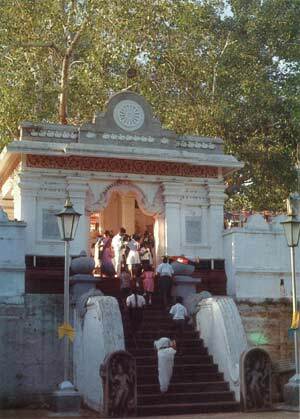 In 249 BCE, Sri Maha Bodhi was planted in the Mahameghavana Park in Anuradhapura by King Devanampiyatissa. The tree is said to be the southern branch of the Sri Maha Bodhi Tree at Bodh Gaya in India under which Buddha attained Enlightenment. It is the only sapling that was saved from the original tree. The original Bodhi Tree in Bodh Gaya was destroyed and the current Bodhi Tree there is a sapling from this tree in Sri Lanka, making the Jaya Sri Maha Bodhi in Sri Lanka the most authentic to the original tree the Buddha sat under and attained enlightenment. This page was last edited on 31 March 2012, at 19:30.